Leave the poor dogs alone! This is just cruel. Southern Chinese residents of the city of Yulin have decided to celebrate their annual summer solstice festival early this year to avoid protests by animal rights campaigners. During the festival, the residents eat dog meat and lychees to celebrate the longest day of the year. It is believed to make them stay healthy during winter. The dogs are reportedly strays grabbed off the streets or stolen from pet owners. They are then shipped to slaughterhouses then sold in the market. Aside from the cruelty of this practice, activists also point out that it poses a health risk to participants since most dogs are not quarantined. 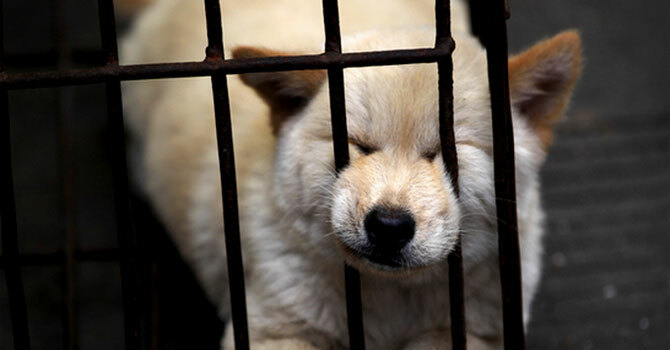 The Yulin government has chosen to distance itself from the infamous festival as it is not officially endorsed. Animal rights activists have created an online petition against this festival. Sign the petition here!